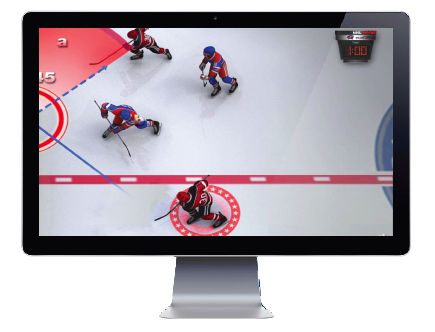 The National Hockey League (NHL®), the National Hockey League Players' Association, and the 30 NHL Club Teams have partnered to launch Future Goals - Hockey ScholarTM, an online learning course that brings science, technology, engineering, and math (STEM) concepts to life through the exciting, fast-paced game of hockey. This course is available to schools and districts across North America at no cost. Engineering behind players skates, sticks and padding for ideal performance. Calculation of ice surface area and volume. Analysis of geometric constructions and how angles are a key component of the game of hockey. Differentiation of states of matter - solid, liquid, gas. Examination of mass, velocity and kinetic energy based on the speed of players. We expect the course to be available this June. Please select if you are with a school or district and complete the brief form to sign up to receive additional information and access to a sample account as soon as it's available. Leverage Hockey to Teach STEM! This resource is available to schools across North America, at no cost, so please spread the word! Share this link with other teachers and administrators to lead the charge in bringing STEM education to students!